Putting this in this section for now. This thread is for all HIDIVE announcements, blogs, news, etc. Please put all HIDIVE info in this thread, UNLESS there is already a thread for a particular anime. Posts that have existing threads will be deleted or moved. HOUSTON, TX, JUNE 20, 2017 - HIDIVE, a freshly launched beta anime streaming service, launched on Tuesday this week, offering thousands of hours of anime to a global viewing audience. With a library that boasts long-awaited classics like Legend of the Galactic Heroes, as well as a varied selection of subtitled AND English dubbed anime, HIDIVE is a new legal viewing experience that seeks to deliver features designed with the anime fan in mind. HIDIVE’s catalog includes a growing selection of English dubbed episodes of newly released English dubs, including Amagi Brilliant Park, Is it Wrong to Try to Pick Up Girls in a Dungeon? and Himouto! Umaru-chan. The new service will also host some Summer 2017 anime simulcast titles. In addition to a growing catalog of bingeable anime titles, the HIDIVE beta will also launch with features that allow the viewer to customize their experience. The HD player allows members to stream their shows their way: customizable subtitles allow viewers to toggle between white and yellow subtitles, as well as control their player’s streaming quality, and audio language options in the same window. The HIDIVE beta offers a premium membership at only $3.99 USD per month, which unlocks all premium HIDIVE features and content. For those who are interested, HIDIVE also offers ad-supported streaming on select titles. To learn more about HIDIVE’s anime streaming services, or to sign up for a 7-day free trial, visit HIDIVE.com, or follow HIDIVE on Facebook and Twitter. HIDIVE is a new anime streaming service built with the needs of anime fans in mind. Currently offering a beta with a curated (and growing) catalog of some the most iconic anime and live action titles of the past and present, HIDIVE provides a unique streaming experience to a global viewing audience. Featuring one of the industry’s best players, customizable subtitles, in-episode live-chat, pinned searches, and more, fans can watch, discover, and share their favorite shows. For more information, or to start a free trial, visit HIDIVE.com. Epic Space Opera “Legend of the Galactic Heroes” to Stream on HIDIVE! HOUSTON, JUNE 20, 2017 – Take a journey among the stars as HIDIVE’s streaming service launches this massive space opera with four new subtitled episodes every week. For the first time, Legend of the Galactic Heroes will be officially be available to stream in the USA, Canada, UK, Ireland, South Africa, Australia, and New Zealand. HIDIVE, a new HD anime streaming service, is proud to announce that the series will stream exclusively on HIDIVE.com. “Massive” is not a word to be used lightly. 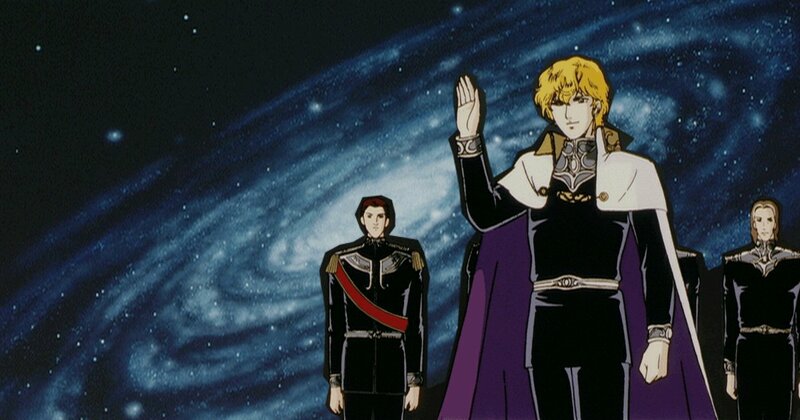 Legend of the Galactic Heroes (1988 to 1997) spans over 110 episodes, with the second OVA, Legend of the Galatic Heroes Gaiden (1998-2000), running at 52 episodes. HIDIVE will also schedule streaming dates for the franchise’s three movies: My Conquest is the Sea of Stars (1988), Golden Wings (1992), and Overture to a New War (1993). Subscribers will be able to enjoy the first four episodes of Legend of the Galactic Heroes on HIDIVE.com at launch (June 20, 2017), followed by the next four episodes on Thursday, June 22, 2017. Subsequent episodes will air every Thursday at 11:00 AM CT in increments of four. Subscribers will be able to stream the series with all the perks of HIDIVE’s streaming services, including an ad-free player, customizable subtitles, HD streaming quality, and an interactive community to connect with fellow Legend of the Galactic Heroes fans. To sign up for a free trial, or to skip the line and just get in on HIDIVE’s awesome streaming stuff, visit www.HIDIVE.com. Things do change, I think this may prove to be a much needed change for the good. Despite the fact that the new service looks like it offers many improvements, when it actually is up, I still fill a little sad about it. What monkey? All I see is 403. Well, I was able to login successfully this morning. I’ll try streaming some things later in the day. Busy, Busy, Busy. HOUSTON, TX, JUNE 21, 2017 - HIDIVE LLC acquired the assets of AN ONLINE, LLC (formerly operating as Anime Network Online). The acquisition will enable HIDIVE to immediately increase its paid subscriber base as well as expand its outreach to addressable users. Following a limited transition period for subscriber migration to the HIDIVE™ online streaming service, AN Online will cease operations. Terms of the acquisition were not otherwise disclosed. HOUSTON, TX, JUNE 21, 2017 – HIDIVE LLC has acquired the streaming rights to the English dub of Chivalry of a Failed Knight, produced by Sentai Filmworks! Premium HIDIVE members will be able to stream new episodes of Chivalry of a Failed Knight every Monday at 12:00 PM CT exclusively on HIDIVE’s anime streaming service beta. Currently, premium HIDIVE members can immediately stream the first four episodes of the series on HIDIVE.com.